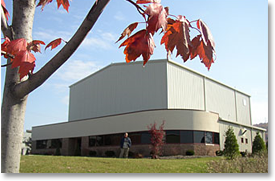 Since 1984, Electro Chemical has been providing fluoropolymer lined chemical containment systems that ensure the integrity of ultra-pure chemicals from the point of manufacture to the point of use. Many of our original chemical containment systems are still in use today, meeting stringent p.p.t. purity requirements that could only have been imagined at the time they were initially commissioned. Through the process of continuous improvement, our goal is to make the ultra-pure chemical containment systems we build today capable of meeting industry needs over several generations of technological innovation into the future. Electro Chemical is the industry standard for ultra high purity chemical containment. Electro Chemical lining systems meet all ISO, IMO, US DOT, and ASME Standards for transport and storage of bulk chemicals. We can provide turnkey chemical containment lining systems, providing both the container and the lining system as a one-stop supplier, or we can install our ultra high purity lining systems in steel vessels provided by others. To best ensure a durable lining system that will stand the test of time,all steel preparation of vessels provided by others must be performed in strict accordance with Electro Technical Bulletin No. 1, available for free download from our Materials or by request from our office. Our chemical containment lining systems ensure maintenance of ultra-high purity chemical integrity from the point of manufacture to the point of use. We have been installing ultra high purity lining systems in bulk chemical transport vessels for over twenty five years, and have several hundred currently in service. By globally sourcing all of our lining materials, we provide our customers with the highest performing lining systems available anywhere to meet their ever increasing demands for higher product purity. 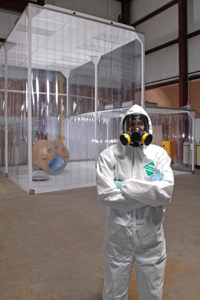 Please contact us for any of your chemical containment needs.